During the 1940s, NBC and DuMont created early TV networks in the East and the Midwest. In January 1949, a connection between these separate networks brought live television to a larger audience for the first time. In early 1940 W2XBS, NBC’s experimental television station in New York City, was linked to General Electric’s station WRGB in Schenectady, New York by a radio relay system developed by General Electric. The success of this new relay was announced on February 22nd, 1940 by Dr. W.R.G. Baker, General Electric’s television and radio department manager. Baker suggested that “within a short time, people in Chicago may see the sun set in New York while it still is high above the horizon in Chicago” . On January 12th, 1945 General Elecric ran a full page advertisement in The New York Times celebrating the fifth anniversary of the New York City-Schenectady relay. 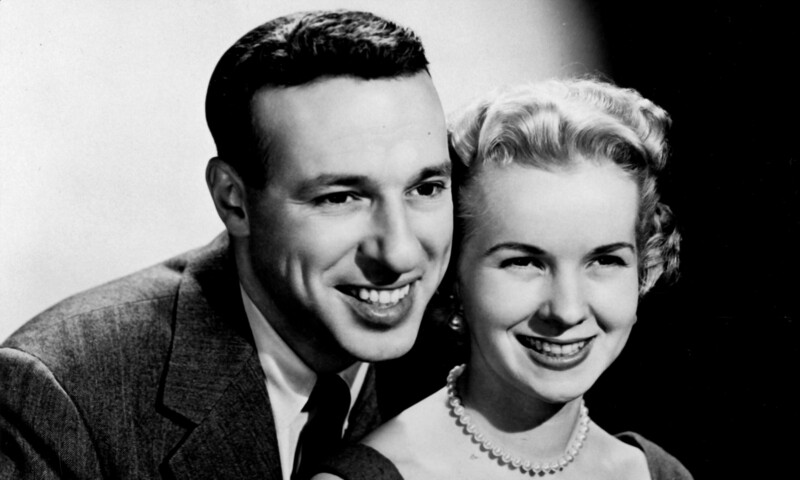 The ad noted that “this was America’s first television network–the first time that two television stations broadcast simultaneously the same regular programs” and revealed that the very first program transmitted from W2XBS (later known as WNBT) to WRGB on January 12th, 1940 was a play entitled “Meet the Wife” . NBC expanded its network to three stations on Saturday, October 27th, 1945 when WNBT and WRGB were joined by WPTZ, the Philco station in Philadelphia, Pennsylvania. The stations joined together to televise President Truman’s Navy Day address at Central Park. The broadcast, captured by WNBT’s cameras, ran from 1:15-2:07PM . The three stations were called “the nation’s first television network” by the Associated Press . Reflecting the problem of determining what constitutes a television network, DuMont may also lay claim to launching the first network. On April 15th, 1946 its New York City station (WABD) was linked via coaxial cable to its Washington, D.C. station (WTTG) for a two-hour program celebrating the opening of the new DuMont television studios at the John Wanamaker store in New York City. The New York Times wrote that “the program will mark the first use of the New York-Washington coaxial television cable on a ‘permanent basis’ for commercial programs” . Thus, while NBC had the first television relay and the first television network, DuMont had the first commercial television network. Reporting on the broadcast the following day The New York Times once again asserted that it was “the world’s first permanent television network” and noted that “the images were clear as they came in from Washington, and except for the first few minutes, so were the voices” . Participating in a ceremony marking the occasion were, among others, Dr. Allen B. DuMont, New York City Mayor William O’Dwyer, New Jersey Governor Walter E. Edge (from New York City) and New York Senator James M. Mead, Connecticut Senator Brien D. McMahon and New Jersey Senator Albert W. Hawkes (from Washington, D.C.) . In addition to speeches and addresses about television’s future, a pair of entertainment programs were shown during the broadcast. New York City presented a sketch titled “Let’s Have Fun” while Washington, D.C. offered a “dramatic fantasy” titled “Experience” . On Friday, June 27th, 1947 the NBC television network on the East Coast was expanded to four stations in three states when WNBW (a network owned-and-operated station) in Washington, D.C. was officially opened. It joined WNBT in New York City (also an NBC O&O), General Electric’s WRGB in Schenectady, New York and Philco’s WPTZ in Philadelphia, Pennsylvania. A three-and-a-half-hour program featuring RCA President, David Sarnoff, FCC President Charles R. Denny, Jr., NBC President Niles Trammell and others was seen on the network from 7:30-11PM [9, 10]. With its Eastern network underway, NBC set its sights on the Midwest. On August 25th, 1948 The New York Times reported that NBC would open a Midwestern network on Monday, September 20th, consisting of KSD-TV (St. Louis), WMJ-TV (Detroit), WTMJ-TV (Milwaukee), WSPD-TV (Toledo) and WBEN-TV (Buffalo) . 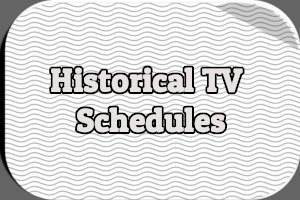 The St. Louis and Detroit stations would provide the bulk of the 12 hours of original programming the network hoped to have on the air . This video network, opened Sept. 20, makes possible the linking of stations in Chicago, St. Louis, Cleveland, Toledo, Detroit, Buffalo, and Milwaukee. 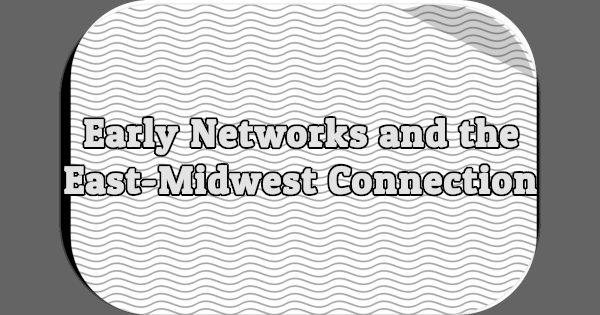 They are joined together by co-axial cables, laid underground, excepting the Toledo-Detroit, Chicago-Milwaukee, and Champaign-Danville, Ill., links where radio relay systems are employed. On November 29th, 1948 Kukla, Fran and Ollie made its debut on NBC’s Midwestern network . 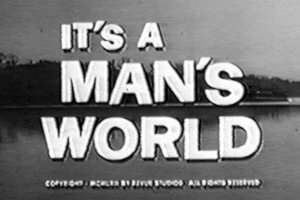 It had premiered as a local series on Chicago’s WBKB-TV on October 13th, 1947. Two additional stations, both owned-and-operated by NBC, soon joined the network: WNBK-TV (Cleveland) and WNBQ-TV (Chicago). In December 1948 plans were underway to televise the January 20th, 1949 inauguration of President Truman over the largest television network and to the largest number of viewers ever up to that point. The New York Times reported on December 12th that the four networks would pool their coverage in Washington, D.C. with NBC’s camera on the steps of the Capitol building, ABC’s at Lafayette Park and in the Esso Building, DuMont at the Treasury Department and CBS at the Old Post Office Building . The official unveiling of the East-Midwest connection, however, would take place on January 12th. At least, that was the plan. According to The Chicago Daily Tribune, “when it became apparent that no agreement could be reached among the various video interests as to which would be the first to use the newly completed coaxial cable circuits” the opening was moved up a day and a special 90-minute broadcast planned . All four networks plus station WPIX in New York City would be involved and the program would be seen in a total of fourteen cities and 34 stations reaching from Boston to St. Louis . AT&T, the company responsible for the coaxial connection, revealed its final allocations in late December, with the networks getting some of the more competitive time slots on a rotating basis . This was necessary because there would be only one physical cable available and only one network could use it at a time (additional cables were already planned to alleviate the problem). A chart published by Billboard on January 8th, 1949 saw CBS and DuMont sharing the 8-9PM hour on Saturdays while NBC and WPIX shared the 10-11PM hour on Tuesdays. The 9-10PM hour on Saturdays was shared by three networks: ABC (9-9:30PM), NBC (9:30-9:45PM) and DuMont (9:45-10PM). And the 10-11PM hour would rotate between the four networks on a half-hour basis . 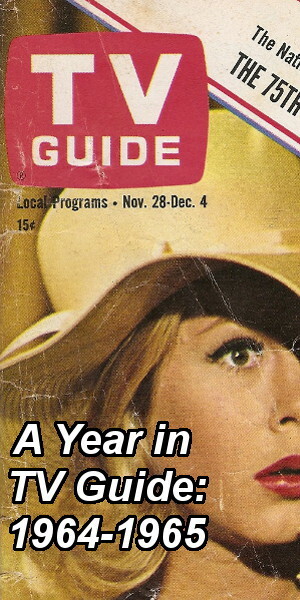 On January 5th, WPIX announced it was withdrawing from the January 11th broadcast and the coaxial connection in general because it did not feel the short amount of time on the cable was worth the expense; the station did note that it was only pulling out until April 1st and hoped that the addition of other cables by AT&T would elevate the problem . For reasons unknown Newark, Schenectady and New Haven did not participate in the January 11th broadcast; Pittsburgh station WDVT, affiliated with DuMont, went on the air as part of the coaxial connection. . The roll call was followed by a speech from Wayne Coy, FCC Chairman, from Washington, D.C. A film demonstrating network television, produced by the Long Lines Division of AT&T, came next and then a speech by AT&T President Leroy A. Wilson. Rounding out the first half-hour were additional speeches from the heads of the four networks as well as Mayor William O’Dwyer of New York City and Mayor Martin Kennelly of Chicago [22, 23]. 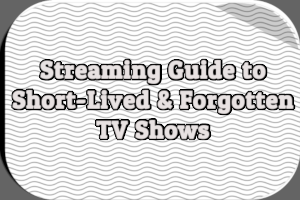 The main portion of the broadcast, however, featured special fifteen-minute programs from each of the networks. First up was CBS with appearances from Arthur Godfrey and his friends Bill Lawrence, Janette Davis and the Archie Bleyer Orchestra, plus Douglas Edwards and Hope & Morey Bunin and their “Lucky Pup” show. Next came DuMont with Ted Steele and his orchestra, which included Elaine Vito, Ester Horrocks and Mac Ceppos. NBC offered Milton Burle and Harry Richman and ABC show a mystery called “Stand By for Crime” from Chicago with Marc Connelly as a guest star . In his review of the broadcast for Billboard, Joe Csida revealed that the special ran an extra fifteen minutes and that Mayor O’Dwyer did not appear (instead, Vincent Impellitteri of the New York City Council spoke). The review called it “crummy” and a “sorry performance,” laying most of the blame on the entertainment rather than the talking heads. For example, “while [Arthur] Godfrey, with his amazing ease and Will Rogers-like charm, is undoubtedly a fine performer, he had nothing to work with here. And he tossed in plugs for his upcoming Chesterfield show, with a carton of Chesterfields in plain evidence on the table, in extremely questionable taste, considering the occasion . Apparently, members of the various orchestras involved had a hard time keeping it together: “Midwestern viewers must have got the impression, incidentally, that in the East, sidemen in orchestras have been developed to replace the studio audience in radio, guffawing at things completely unfunny to listeners” . As for the episode of Chicago’s Stand By for Crime, “maybe other offerings of this troupe have been good, but this one wasn’t. The story was poor, building neither its plotline nor characterizations adequately. The acting was for the most part pure, meaty Swift. The direction was an amateurish effort at Hitchcockism. Marc Connelly’s build-up intro only made the production seem that much worse” . 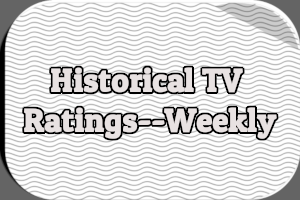 Despite the limitations of the sole coaxial cable, the networks immediately began offering Eastern shows to Midwestern audiences and vice-verse. On January 12th, Chicago’s Kukla, Fran and Ollie was seen on the East Coast for the first time over NBC. ABC hoped to premiere a dozen Midwest programs within a week, including Super Circus, What Do You Think?, Stand By for Crime, Vaudeo Varieties and boxing . Programs moving in the other direction included Arthur Godfrey and His Friends (CBS), which premiered on both coasts on January 12th, as well as Broadway Revue (DuMont), Toast of the Town (CBS), Small Fry Club (DuMont), The Singing Lady (ABC), Quiz Kids (NBC), Meet the Press (NBC), The Gay Nineties Revue (ABC), Actor’s Studio (CBS), Texaco Star Theater (The Milton Berle Show) (NBC) and Critic at Large (ABC) . Not all of these shows would be cleared in all of the cities making up the connection, but for many viewers the number of choices had suddenly been thrown wide open. On January 20th, President Truman’s inauguration went out over the coaxial connection, with stations throughout the East and Midwest covering the event from 11:30AM to roughly 4:30PM (Eastern time). The Chicago Daily Tribune estimated that some ten million viewers in all seventeen cities were watching (that included some Canadians able to pick up television stations in the States); by comparison, the number of people watching the inauguration in person was a paltry 130,000 . For the record, AT&T opened two new cables to the Midwest on May 1st. 1 “Success of Television Relay Experiments Announced.” Associated Press. Los Angeles Times. 23 Feb. 1940: 20. 2 Advertisement in The New York Times, January 12th, 1945, Page 11. 3 “Truman is Televised In His Navy Day Speech.” New York Times. 28 Oct. 1945: 36. 4 “President Makes First Broadcast By Television.” Associated Press. Los Angeles Times. 28 Oct. 1945: 9. 5 “Post-War Television To Be Shown Monday.” New York Times. 10 Apr. 1946: 20. 6 “1st Television Net Links City, Capital.” New York Times. 16 Apr. 1946: 39. 9 Gould, Jack. “The News of Radio: NBC to Launch Television Service on Friday Between Washington and New York.” New York Times. 24 Jun. 1947: 46. 10 Stewart, R.W. “The News of Radio: NBC Opens Its Second Television Outlet–Canadian Team to Make Debut.” New York Times. 28 Jun. 1947: 28. 11 “Radio and Television: WJZ Again to Broadcast Opera on Saturdays–Negotiations Under Way for Video.” New York Times. 25 Aug. 1948: 50. 12 “NBC to Launch Its Midwest Television Network Sept. 20.” Chicago Daily Tribune. 27 Aug. 1948: 14. 13 “Kukla, Fran and Ollie Prance on TV Net Tonight.” Chicago Daily Tribune. 29 Nov. 1948: A4. 14 “News of TV and Radio.” New York Times. 12 Dec. 1948: X11. 15 Wolters, Larry. “New Television Network Opens One Day Earlier.” Chicago Daily Tribune. 17 Dec. 1948: C7. 17 “Midwest Cable Allocations.” Billboard. 8 Jan. 1949: 8. (Read online at Google Books). 18 “Chicago and N.Y. Mayors Billed on Big TV Show.” Chicago Daily Tribune. 5 Jan. 1949: B7. 19 “Radio and Television.” New York Times. 6 Jan. 1949: 46. 20 “East Linked to Midwest by Television.” Chicago Daily Tribune. 12 Jan. 1949: 1. 22 “Video Network of 14 Cities to Open Tomorrow.” Chicago Daily Tribune. 10 Jan. 1949. 23 “Radio and Television: Coaxial Cable, Linking East and Midwest Video Outlets, Will Be Opened Today.” New York Times. 11 Jan. 1949: 54. 25 Csida, Joe. “Four-Web Coaxial Cable Show Strictly ‘C’ for Crummy.” Billboard. 22 Jan. 1949: 11. (Read online at Google Books). 28 “Radio and Television: Opening of Coaxial Cable Link Brings Many New Programs to Video Audience.” New York Times. 12 Jan. 1949: 54. 29 “New Era Opens for Video Set Owners in City.” Chicago Daily Tribune. 12 Jan. 1949: A4. 30 “Piercing Views of Inaugural Being Reviewed.” Chicago Daily Tribune. 30 Jan. 1949: N8. 1 From The New York Times, January 12th, 1945, Page 11. 2 From The New York Times, April 14th, 1946, Page 55. From left to right: cast members Peggy Norman, Joan De Weese, Abbey Lewis, Dave Hyatt and Lawrence Deacon, Lynn Delabar and director Louis A. Sposa (seated). “THE ADMIRAL BROADWAY REVUE” was simulcast on both NBC and DuMont, simply because the latter owned WDTV in Pittsburgh- the ONLY TV station on the air in that area in 1949. In order for the show to be carried in Pittsburgh, Admiral HAD to agree to a simulcast, and the series was seen over both network’s affiliates and wherever kinescopes could be sent, via “delayed broadcast”, to non-connected stations. The only reason the show went off the air after six months, as Sid Caesar later found out, was because it was TOO successful. Admiral sold out virtually all of its inventory of appliances and radio/TV sets by the end of May, and their executives had to decide what to do with the profits: renew for another season, or build a new factory to handle the demand of sales caused by the “REVUE”? They chose the latter (although they began sponsoring NBC’s “LIGHTS OUT” in the fall of ’49). But the producer of “Admiral Broadway Revue”. Max Leibman, created a new show for the cast and crew of that series which premiered on NBC in early 1950 and ran four-and-a-half seasons to great critical and ratings success, going on to be on of TV’s most iconic variety series. It’s name: “Your Show Of Shows”. Actually, there was no “WNBT” in New York in 1940 (that didn’t officially sign on until July 1, 1941, by authority of the FCC); it was “W2XBS” until 7/1/41. World War II limited the amount of programming New York and Schenectady jointly carried from 1942 through 1944 [mostly consisting of Civil Defense and military “how-to” programs, documentaries and instructional films, with occasional live variety and entertainment programming for those military personnel watching from hospitals and other convalescent areas that had working sets]. WKYC is the tv call letters to this day, WTAM became WWWE from 1972 until 1996 and then back to WTAM in 1996. Another interesting point is The Eastern Station included Buffalo but Pittsburgh which is farther west wasn’t included in either the east or midwest list. I’m actually not sure whether Pittsburgh was considered part of the Eastern network or the Midwest network. The article listing all the stations had it separate. In 1949-50, Middle Tennessee (the Nashville market) was opened to TV via its northern neighbor, Louisville, KY. WAVE-TV in the Derby City set up a 5-hop, 185-mile microwave system to WSM-TV Nashville. If this had not been done, Nashville could have been forced to wait 18 months to two years for WLAC-TV or WSIX-TV to become the second station in the market, an AT&T requirement for the coaxial cable. The link was completed in September 1950 just in time for (what else?) a Tennessee Vols football game. I have 2009 blog piece online at http://www.chotank.com/una2.html about Frank Kyle Spain of Tupelo where I say Comcast started in Tupelo because the MCI cofounder owned a TV station with advanced microwave facilities there for bringing in Memphis stations. I was unaware of the Nashville story in the last post when I prepared the original post. I have also learned recently of Huntington, WV importing TV network service by microwave from Cincinnati before setting up private system to bring in the AT&T service fro WTVN from a 500 ft. tall building in downtown Columbus, Ohio. in the mid-50s. Is Terry Hollinger smiling now?